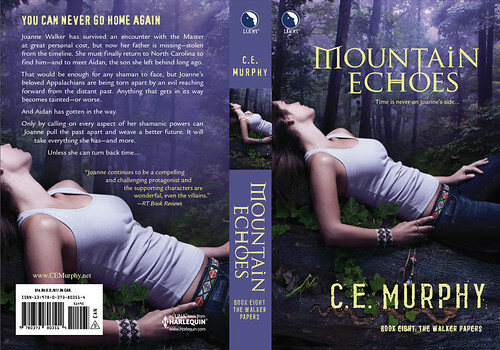 I’ve been given the all-clear to post the MOUNTAIN ECHOES cover! I love that cover. It’s fabulous. When is the on-sale date, do you know? I believe it's technically Feb 1 so like, y'know. Mid January. Being a tall brunette with mixed Cherokee and European ancestry, the amount I want to cosplay Jo Walker is very high. :) Not that anybody would recognize it. Uh, given that pose, my first reaction was "va-va-VOOM!" Looks good. Do you have a date for when it'll be out? January! Or possibly February, but I think January. Yay! love the detail of the belt and bracelets. I want this on my shelf! That is a beautiful cover. I can't wait to read this.